Honeyville Specialty Honeys, Jams, Jellies and Sauces: Honeyville Honey, Flavored Whipped Honey, Jams, Jellies and Sauces from Durango, Colorado, the Land of Elk and Honey. 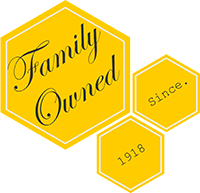 Honeyville is a third-generation beekeeping and honey bottling family business located in beautiful Durango, Colorado. It is currently owned by Danny, Sheree, and Kevin Culhane. 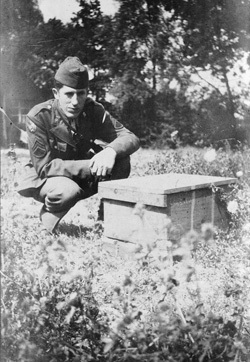 The story begins in the 1920s when Vernon Culhane removed some honey bees from a buzzing tree near his house to start his own hive. He soon discovered that the honey his bees were producing was the best honey he had ever tasted! So it began and word got around that Vernon was producing wonderful honey in the Durango area. Earning the title, "The Falfa Honey Man", Vernon would take the farm's flatbed pickup to Rio Grande Land in downtown Durango where the train station is located and locals would fill their containers straight from the truck. Later, families would come to the Honey House located on the Florida Mesa east of Durango to fill their jars with honey. This would often be included with a tour of the honey farm, a hand laid brick building on the original homestead where Vernon's Irish father resided. 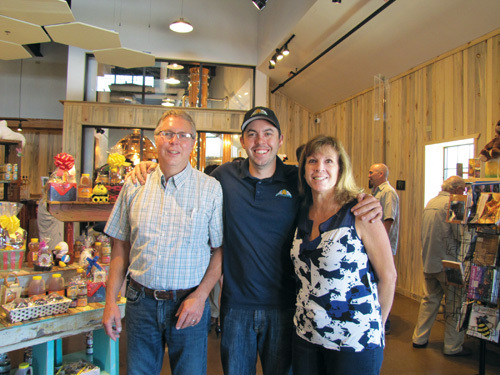 What started as a hobby for Vernon had become a thriving honey business. But Honey by itself wasn't enough - he soon started experimenting with the possibilities of what else could be done with the honey his bees were producing. He realized he could use his honey to enhance Jams and Jellies as well as creating Honeyville's flagship product - Cinnamon Whipped Honey. A true entrepreneur, Vernon also started cultivating Chokecherry trees in his own backyard and perfected a honey enhanced recipe that is now our famous Wild Chokecherry Jelly. Today, Honeyville still holds the values and principles started by Vernon by offering nature's sweet nectar to families who visit the Honeyville factory store as well as those loyal online families. 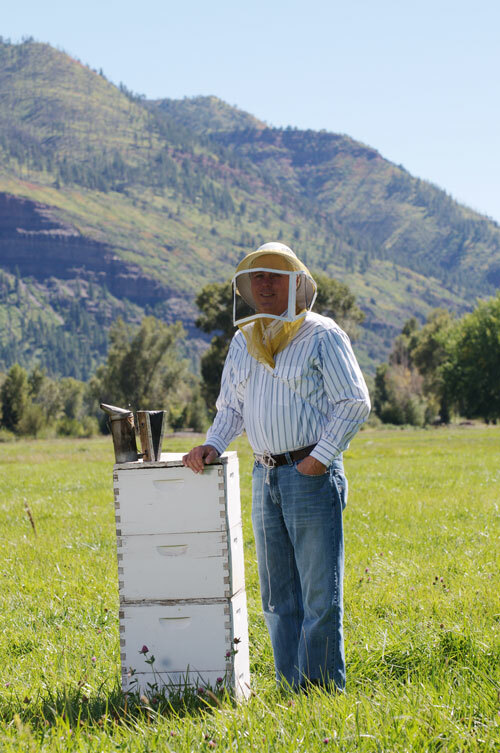 Honeyville has since outgrown the honey supply located around Durango, so we have branched out to other family beekeepers all located in the Rocky Mountains, gathering honey from the same flowers as the Durango region to help supply the demand. All of the honey goes through a rigorous quality control before ever making it into our warehouse. But we didn't stop there - we have continued the quest for superior, natural new exciting products, all honey enhanced of course! Bee on the lookout for upcoming products. The history of Honeyville is just like the product, thick, rich, and flavorful. Some of the family beehives are still located on the same meadows and mountain hillsides where the distant view of the majestic La Plata Mountains helps the bees enjoy their job of collecting nature's sweet nectar. Unknowing of the ever changing world around them, they continue to bring the same quality high altitude honey to their hives as they have for over 90 years.